You may find your answer from frequently asked questions below. Just click the question title and you will see the answer. How to register tuition class and reserve seat? Registration with us and seat reservation is as simple as clicking above button! You may browse website for more information about our tutors, classes timetable and tuition fee. * Deposit will be charged only for first time registration and will be fully refund on class termination(T&C applies). * For immediate clarification, please contact us at +65 68846566 or SMS/Whatsapp to 84577888. Where to find current class information? You can also find your classes details here. Q1. Are there notes and worksheets given? If so, is there any materials fee? Our tutors prepare notes and worksheets every lesson, yet there is no additional materials fee charged. We believe it is the tutor’s responsibility to prepare these for the students. Q2. Do you teach IP or non-IP syllabus? Yes, we teach both. Our tutors are very familiar with both syllabuses. Please let us know whether you are doing the IP or non-IP syllabus, so we are able to advise the most suitable class for you. Q3. How about missing class? Will there be make-up classes? A3: Students are advised to attend lessons regularly and punctually. In cases of absence due to medical conditions or official reasons, please inform the centre in advance. Each student is permitted up to 3 make-up lessons for a term, with proof of MC or official school excuse letters. Students are strongly encouraged to make up for the missed class so as to ensure they are not behind in content. In case of the absence without informing the centre 24 hours in advance, neither alternate form of teaching session nor refund will be provided (school fees for that particular lesson are forfeited). Q4. What do we do if we would like to terminate the tuition? You will need to notify the centre at least 4 lessons in advance. Failure to do so will mean you will not be able to get back your $150 confirmation deposit. We seek your understanding the class size here is deliberately kept small to ensure quality learning. Q5. What is the mode of payment that Future Academy provides? We accept cash, NETS and cheque payment. If you paying the fees via cheque, please take note the payee is: Future Academy Pte Ltd.
From Oct 2018, we also accept PayNow payment. Customer can make payment directly to Future Academy Pte Ltd or by scanning following QR code. Q6. How does Future Academy collect its fees? School fees have to be paid in advance/upon registration by cash, NETS or cheque (post-dated cheque will not be accepted). In cases where by there are 3 (due to public holiday) or 5 weeks in a month, Future Academy will prorate the fees accordingly and inform you at the start of each month. For e.g. 4 lessons cost $400. 5 lessons will then cost $(400/4) x 5 = $500. If your child were to start after mid-month/mid-term, we will still collect the fees of 4 lessons. For the following month, we will prorate your fees accordingly and you will only need to pay the remaining weeks left in that month. Subsequent months, we will collect payment at every beginning of the month. Q7. Is there lesson on public holidays? Our centre will be closed on all government gazette Public Holidays and there will be no lessons (hence no tuition fees incurred). Q8. Will there be any lessons conducted during the school holidays? During the school holidays, the teachers will be providing holiday programmes for the students. The holiday programmes would include revision or enrichment classes. This holiday programme will help the students to catch up on their previous semester’s work or to prepare them for the coming semester’s syllabus. We understand students might be involved in various activities during school holiday. Therefore, there would be more flexible schedule during holidays. If the student cannot turn up for class, please inform the centre in advance notice. Q9. Can the students just sit-in for one lesson? We do not conduct trial lessons for students, as we do not believe that a single lesson will be of any benefit to the student. Instead, your child can try out for at least 4 lessons. Q1. What are the paymnet modes? 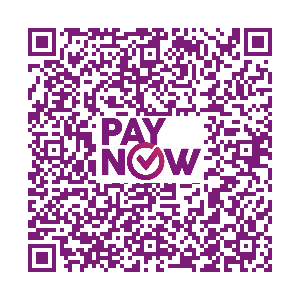 PayNow Payment: Customer can make payment directly to Future Academy Pte Ltd or by scanning following QR code. Please indicate invoice number or students name as reference code. Q1. Who are the tutors teaching in Future Academy? The centre has a team of specialist tutors with extensive experience in Subjects specialised in Mathematics, Physics, Biology, Chemistry and Chinese, at primary, secondary and JC levels. International Mathematical Olympiad Gold Medalist Coaches. Q2. Why the student needs top level tutors? A2: Top level tutors have deep understanding of the syllabus and know the students’ needs well. They know what kind of issue students are encountering and know how to solve those in ways students can understand easily. Thus our tutors can help students effectively. Tutors in Future Academy have successfully helped hundreds of students to excel in school in providing high quality tuition to them. Q3. Do the tutors customize teaching based on students’ learning needs? A3: Yes, we do. We deliberately keep the tuition class size small to ensure teaching quality. In the small tuition class, tutors can address individual students’ learning needs easily without affecting other students. In addition to teacher quality, we guarantee small and manageable class sizes where the teacher has time for personal guidance and giving consistent feedback. Q4. Are the tutors all experienced in tuition? A4: Of course! The tutors are all experienced teachers with extensive experience in the teaching subjects and proven track records. Q1. Why small group tuition? A1: It is also commonly understood that large class size negatively affects students’ academic performance. Qualitative studies consistently support that in smaller classes it is easier for teachers to spot problems and give feedback. Regular and high quality feedback is pedagogically proven to be one of the best ways for rapid improvement. In small group tuition class, teachers also can address individual’s learning needs easily. This is the reason why remedial or support classes conducted in school tend to be much smaller than the average sized class. This is also the reason why MOE is consistently trying to improve the teacher-student ratio. Yet surprisingly, many students go for tuition where classes can be just as large as their classes in school. Mass lectures can still work but in the end, your individual learning needs are not addressed. If you need feedback on how to improve, close guidance is still necessary. A2: Yes, we teach both. Our tutors are all teaching experts with deep understanding of both syllabuses. Indeed, our principal tutors Mr Jason Lau, Ms Yvonne Chen and many other teachers in our team are former teachers from top IP schools and O level schools like Hwa Chong Institution, Raffles Girls School, Nanyang Girls High School, Anglo Chinese School, Nan Hua High School etc. Please let us know whether you are doing the IP or non-IP syllabus, so we are able to advise the most suitable class for you. Q3. What is the sequence of teaching topics in the class? A3: We have our own scheme of work, followed MOE recommended one. Before major assessments in school, the tutors will do revision with the students to prepare the students for assessments. Q4. How do I know my child’s progress? A4: In the small group settings, our tutors know the individual students’ strengths and weaknesses very well. We will regularly update the parents on their progresses. Q5. Are there notes and worksheets given? If so, is there any materials fee? A5: Our tutors prepare high quality notes and worksheets for every lesson, yet there is no additional materials fee charged. We believe it is the tutor’s responsibility to prepare these for the students.